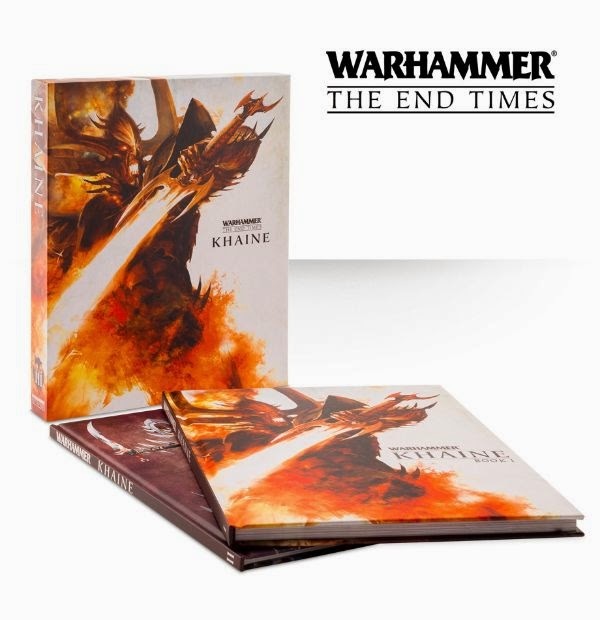 The End Times: Khaine came out last week to add yet another phenomenal chapter to the End Times story. The Rhana Dandra has come, and the Elven nations will never be the same again. Like all of the End Times books so far, the presentation on this one is top notch. The cover is clean and eye catching and the slip case really packages it together well. 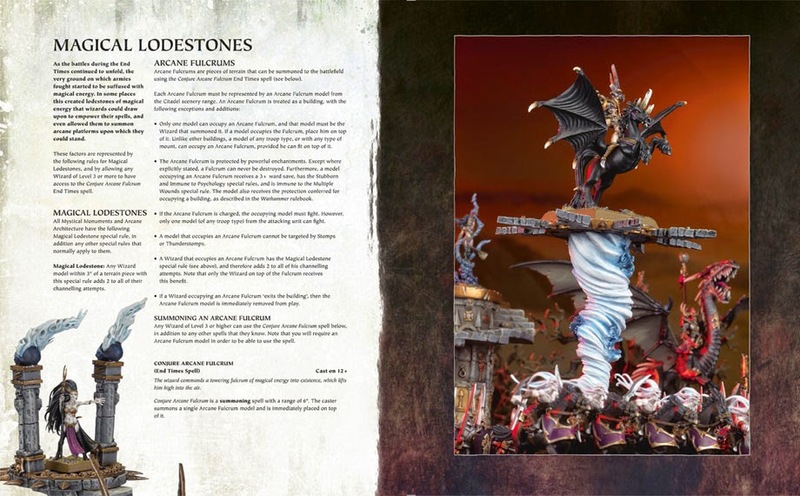 There's not much I can say about this book set's presentation that I haven't said about the Nagash or Glottkin. I really like this direction for Fantasy and I hope they continue it with future releases. It'll be interesting to see if they switch to this cover format for future Army Book releases. I don't know how I would feel about that. Like I said, I like the End Times look, but I might want them to restrict it to campaign and main rule books. The Army Book cover is too classic to change. I'm not sure though, if they do it well enough I could be convinced. Book one contains the story of the Rhana Dandra, or basically the End Times for the Elves. This story is the closest thing to a Greek drama that we've had so far. It's all about gods and family ties, betrayals and shocking deaths, and above all, tragedy. The quality of writing is right up there with what we've come to expect. I have never been a big Elf fan, so a lot of the names are lost on me unless they are major characters, but I'm sure any Elf players out there would be more familiar with them. The one thing that bugs me about this story is how isolated it is. 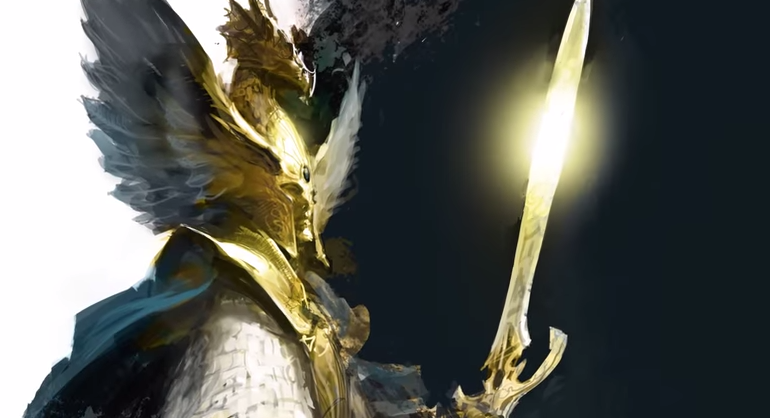 Since all of the action takes place almost exclusively on Ulthuan it almost feels like a seperate story from the End Times. Glottkin still had ties to Nagash with Vlad, Leoncour and a couple of battles, but Khaine is left to stand on its own. This is not too surprising considering that the fact that Ulthuan is an island makes isolation almost impossible to avoid. 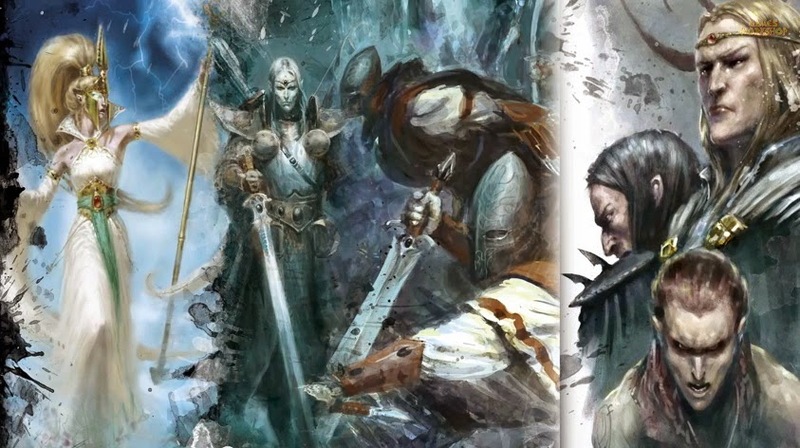 It would have been nice if Athel Loren was included, as this would have tied it into the other two stories a bit more. Instead, the Wood Elves come to Ulthuan to aid their brethren in the war for the throne. The artwork is a little sparse in this compared to the last two, but we do get some nice two page spreads as well as a few other new pieces here and there. The one thing that is a big improvement to me is the artwork for the army compositions before each battle. It looks like they switched artists and it is much cleaner and crisper. 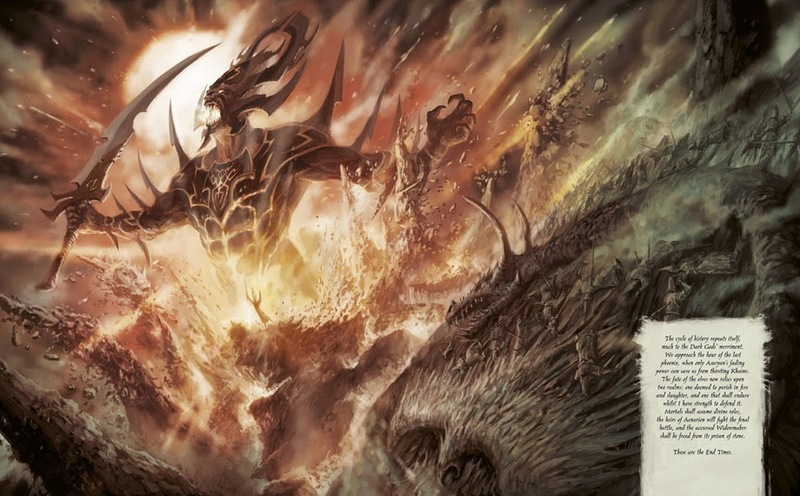 I wish Nagash and Glottkin had this artist at their disposal. The story is certainly epic though and I look forward to seeing how it ties into the conclusion of the End Times. GW has got me hooked on this series. You can tell that they certainly enjoy writing it and the amount of freedom it gives them in regards to the lore. 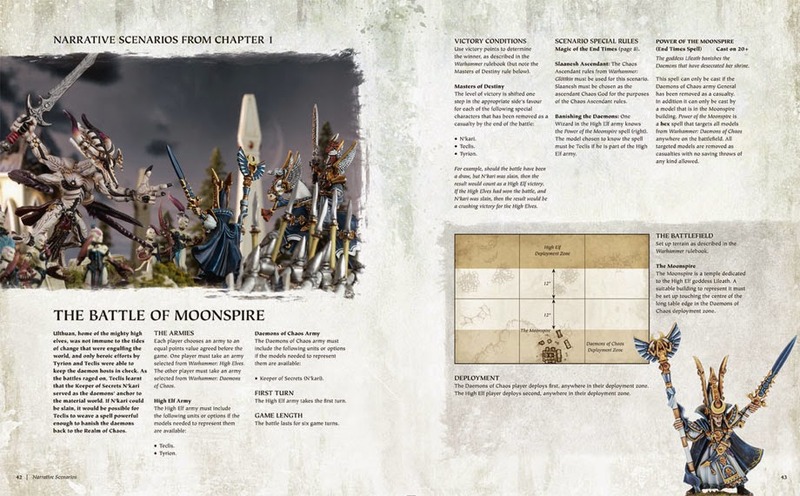 Book two contains all of the new rules, such as new army lists, characters, and scenarios. 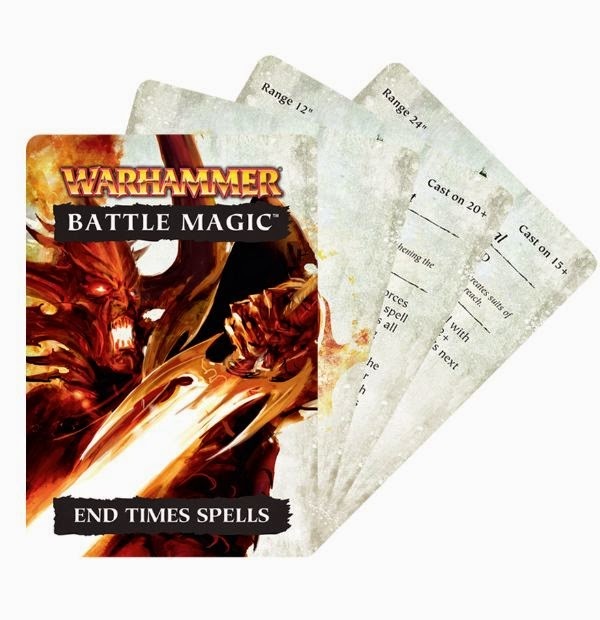 The big addition with Khaine is the inclusion of End Times magic. It's basically a toned down version of the Storm of Magic system. Each lore gets a new End Times spell and the whole magic system gets a massive overhaul. The number of power dice generated each turn is now 4D6, the number you can use per spell is a random D6, everyone knows the entirety of their lore, and several other changes. It's pretty exciting stuff, but the biggest let down for me is that they have made it "somewhat" optional to use. You only have to use this new magic system if the scenario calls for it, if one of the new Elf lists is being used, or if you just want to. This sadly means that it probably won't see too much play, since most people are afraid to play the game in a new way. 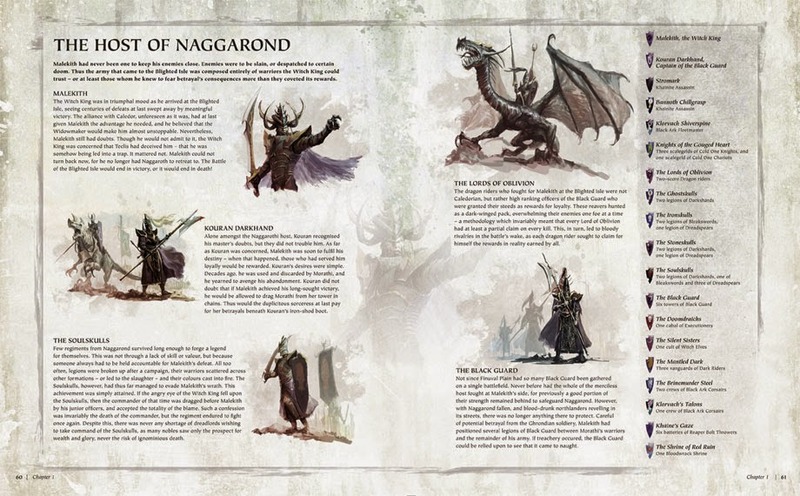 I really liked how the 50% Lords and Heroes from Nagash got FAQ'd into the main rules along with the Lore of Undeath. GW should have taken a firmer stance on these new rules and made them permanent. We get three new army lists with this book, one for Malekith's forces, one for Tyrion's, and one for the overall winner (I'm not going to give it away here). Like the previous army lists, these new ones combine several army books together with some new characters and new special rules which replace the ones from the army books. Now you can combine your Dark Elf, High Elf, and Wood Elf collections together to represent the entire race united in defiance of Chaos. The characters included are not actually new, just new versions of older ones. We get to see a more powerful Malekith, a blood raged Tyrion, and an empowered Imrik and Alarielle. It's a little disappointing that we didn't get any new models with this release. Either some brand new ones or newer sculpts or outdated models (pretty much all of them). 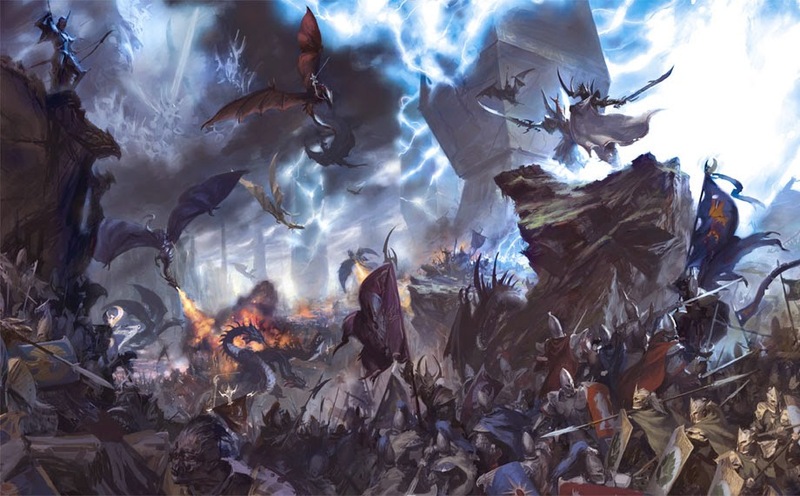 I wouldn't be surprised if we see a new Malekith when ever the next Dark Elf book comes out (or would it just be a new Elf book?). I feel like they missed an opportunity to create a new unit that is kind of a super powered Pheonix Guard/Black Guard equivalent since those two units are basically just opposite sides of the same coin. The scenarios again follow the campaign from start to finish and are a great addition. Most people probably won't play them, but they are a fun little extra at the back of the book. I still want to have an End Times weekend, or at this point, weekends, where people play through the entire campaign from start to finish. I hope Adepticon will run an End Times narrative campaign next year, I know I would sign up for that. 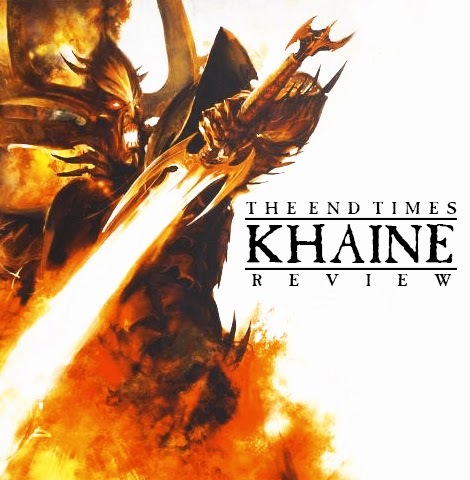 All in all, End Times: Khaine is another great addition to the series. 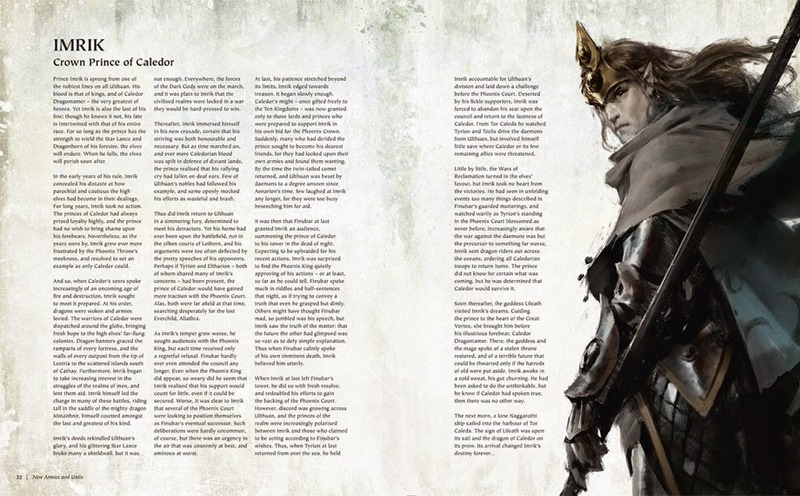 If you are a fan of the Elven races then this book is game changing. The tag line isn't "Gods will die" for nothing. For all Warhammer fans out there in general it's a great story and will affect the entire Fantasy world in the end. The quality doesn't seem to be dropping at all, which bodes well for the last two(?) book in the series. All of the rumors are pointing towards End Times: Skaven being next. Let's just hope GW gives us a bit more breathing room between releases so we can recover and get ready for another $66+ book.